We now provide boat trailer service and parts. Whether you own a Travel Trailer, RV, Boat, Horse Trailer, Utility Trailer, Motorcycle, Jet Ski, or Fifth Wheel, Lomita Trailer Supply has the largest supply of trailer parts and accessories and towing equipment in Los Angeles to get you back on the road. 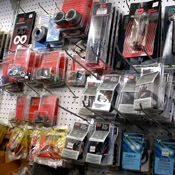 Click here to see the trailer parts and accessory brands that we carry. 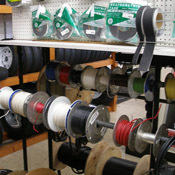 Special Promotion: Old trailer hitches and vehicle wiring harnesses on sale. Stop in or call 310-236-2246 for details. 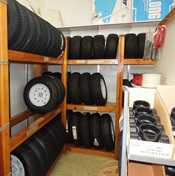 Check out the complete photo gallery of our trailer parts super store. 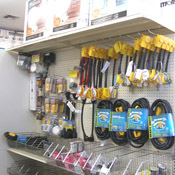 We carry the largest selection of RV Trailer Hitches, RV Propane, RV Plumbing and Fixtures, RV Roof Sealants, RV Roof Vents, RV Hardware, RV Appliances, RV Interior Lighting, RV Power Plugs, RV Tires and Wheels, RV Wiring, RV Cleaners and Polishes, Trailer Towing Accessories, Trailer Brake Controllers, Trailer Tail Lights and Markers, Trailer Tires and Wheels. For a complete list of RV Trailer Parts - Click Here. 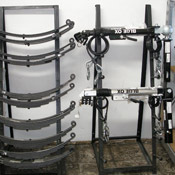 For a complete list of all Trailer Parts - Click Here. Airstream, Fleetwood, Forest River, Heartland, Jayco, Keystone, Shasta, Winnebago, Coleman, Dutchman, Featherlite, Extreme Warrior, Holiday Rambler, Monaco, Palamino, Starcraft, Yellowstone and more. Just about the nicest most helpful guys! The owner allowed and trusted in my husband, whom he has never met, to take the tow hitch out to the car to make sure it fit. I hung out inside and talked to Martin about Hank Williams and country music while my husband browsed around. Thanks guys! We will be back! My family and I recently downsized our camping experience from hard sided 20' trailer to a pop up trailer. We found a 1984 Starcraft starlight 20 s/d for a great price. With parts and knowledge from the staff and owner at Lomita Trailer were have wired my wife's minivan from nothing to fully functional for towing. We were able to find parts for our pop up that seemed available nowhere else. This is where you need to go for all you're trailer needs. Great prices, in a clean, well-organized store. They get 5 and a big as well! 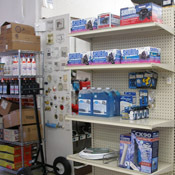 It's convenient for your trailer parts they usually have whatever you need. I've prices compared and found the prices are more than online so if you have the time do what best for your needs but if your pressed for time and need to go camping like yesterday go pick up whatever it is you need. The owner, his son or the other gentlemen who works there are all very helpful, be nice to see more shops like this in the neighborhood.